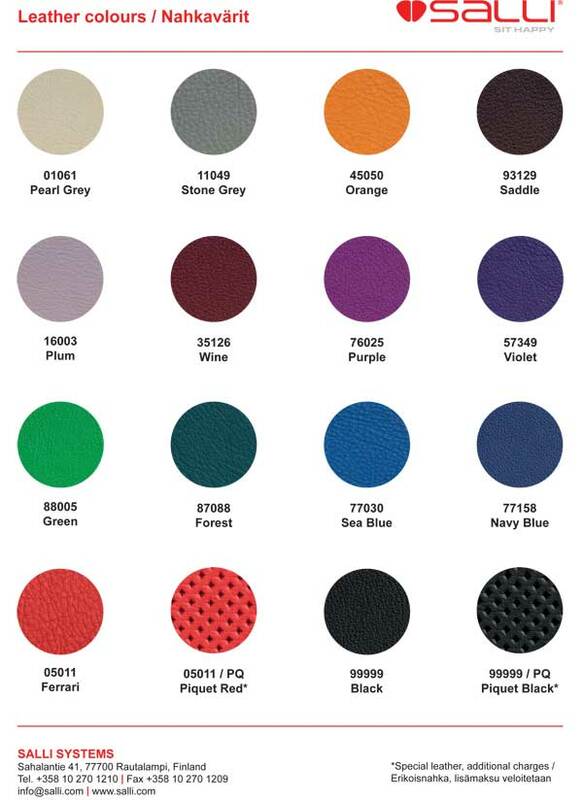 If you need to disinfect your chair, we highly recommend the artificial leather colors. Leather is not a good material to disinfect. Leather is a magnificent material for furniture. It looks great, feels great, smells great and typically lasts 4 to 5 times longer than any other upholstered fabric. It's also fire resistant and wears gracefully by holding its colorfastness and becoming more supple with age. 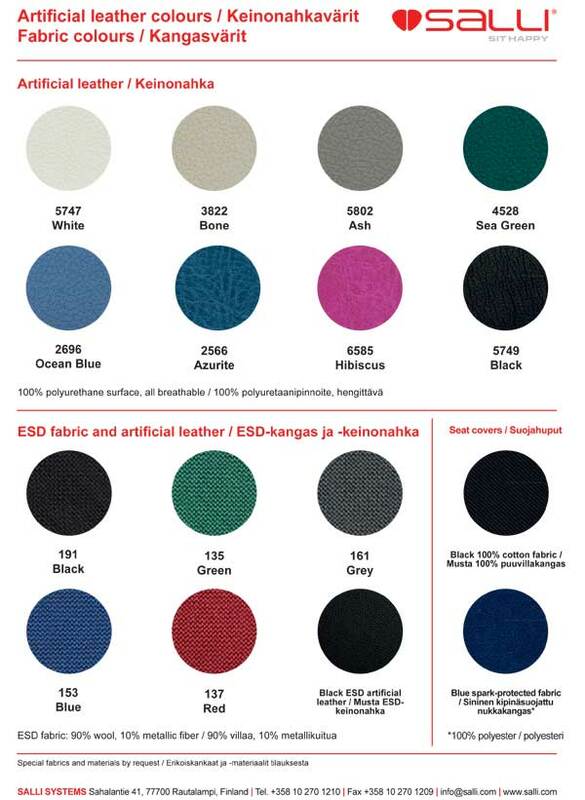 Salli's top quality chrome-tanned, Scandinavian bovine leather exceed California TB 133 flammability standard.